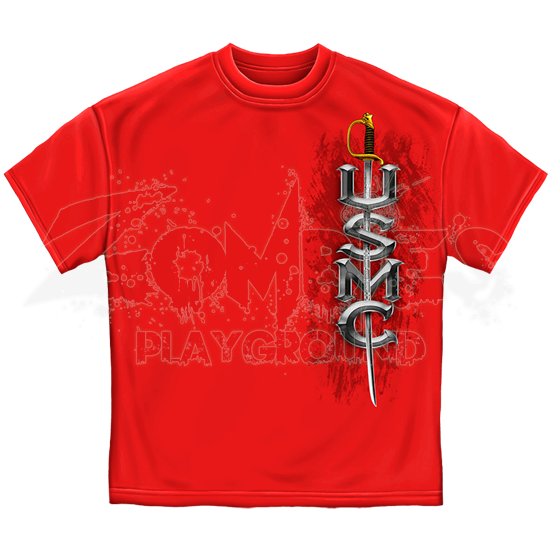 With the image of a bright military sword interwoven through silver-colored letters, the Red USMC Semper Fidelis Sword T-Shirt displays the abbreviation for the United States Marine Corps vertically upon its front side graphic. The large graphic on the back of this red t-shirt features the eagle, globe, and anchor insignia of the USMC along with the words SEMPER FIDELIS. 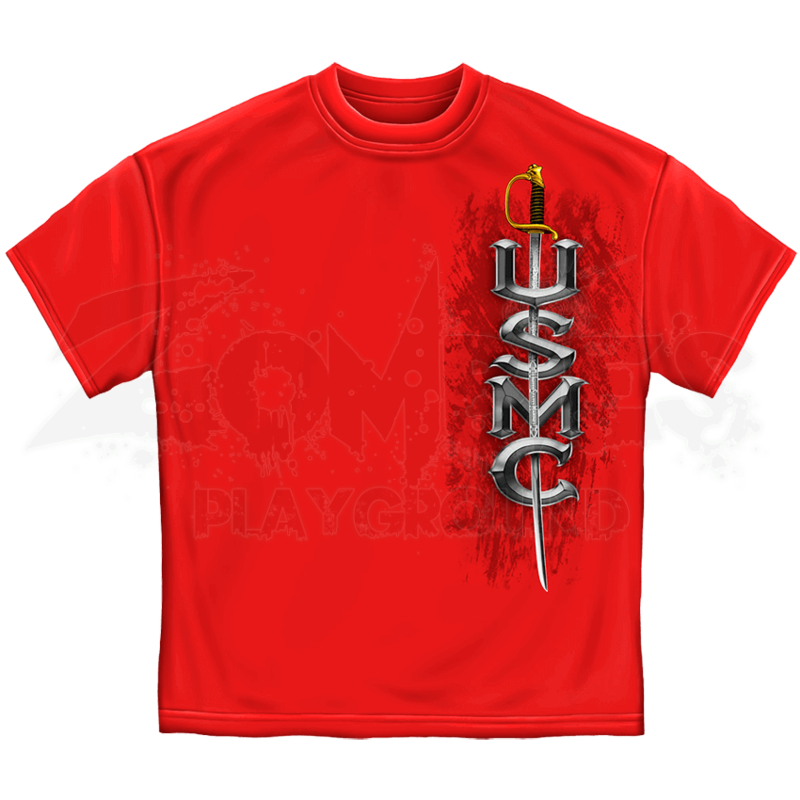 Ideal for incorporating everyday support for the US Marine Corps into your wardrobe, this 100 percent, pre-shrunk cotton t-shirt also features a heavyweight construction for increased sturdiness.